Developed specifically for the FBI, the 40 S&W was designed to have the perfect balance of penetration, manageable recoil, and stopping power and succeeded handsomely with its efforts, causing the FBI to use this round for years. 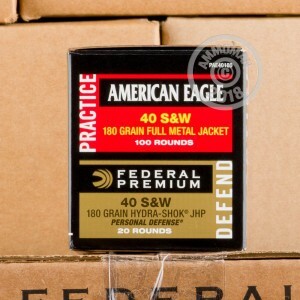 If you are looking for an excellent self defense and range round, then the 40 S&W is the round for you. 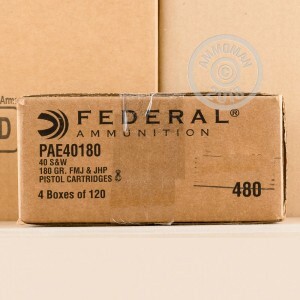 For years, the name Federal Premium has represented high quality ammunition and that still bears truth today. 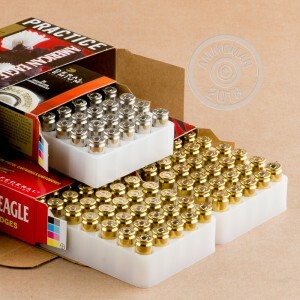 This combo case features 400 rounds of high quality training ammunition and 80 rounds of some of the best self defense rounds you can find. Pick up this combo case for high quality range training ammunition that mirrors the performance of your carry ammunition so you are prepared for those critical moments. Good news, at AmmoMan.com all orders over $99 will ship for FREE!